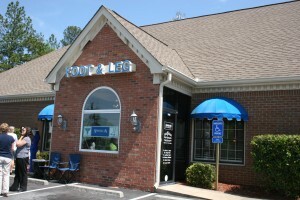 Welcome to the Stockbridge, GA location of American Foot & Leg Specialists. Located in the South Atlanta Metro area in Henry County, our office provides the highest quality podiatric care in Stockbridge, GA, by treating a wide variety of foot and ankle issues. Not only does our expert team of podiatrists at American Foot & Leg Specialists maintain the highest levels of accreditation, all of our staff are certified podiatric medical assistants as well. Our staff also includes licensed physical therapists. Whether a patient needs diabetic shoes or a platelet rich plasma treatment, our team of doctors and staff provides high quality care with a friendly, accommodating attitude.